45 km. You can enjoy this beautiful canal on foot, by bicycle or by boat. 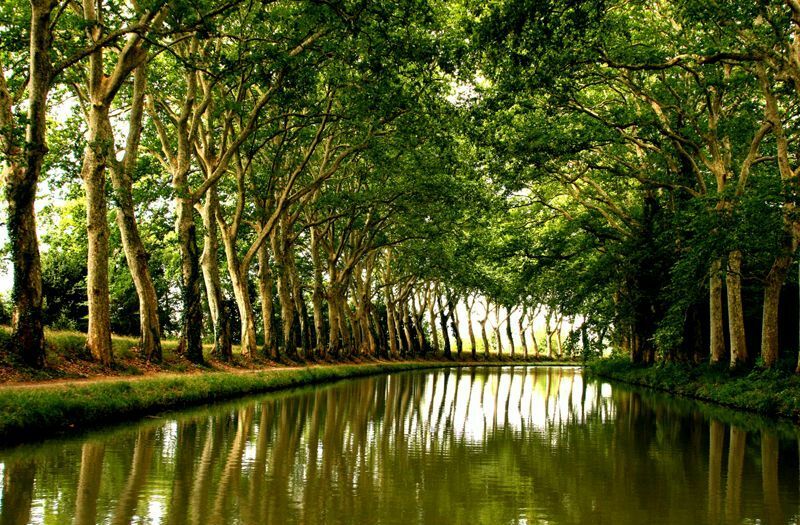 The Canal du Midi connects the Garonne on the Atlantic coast to the Mediterranean sea. 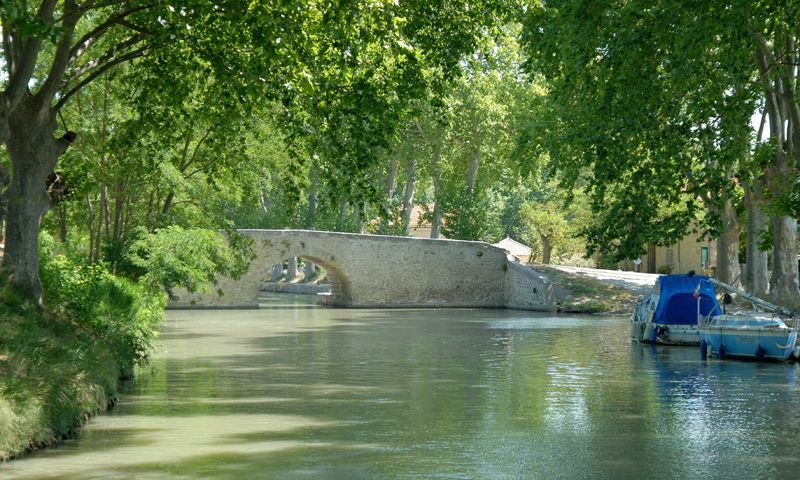 Originally called the Royal Canal of Languedoc, it was, in 1789, after the Revolution,reanamed the Canal du Midi. Together with the Canal Lateral A la Garonne, it is also known as the "Two Seas Canal" as it links the Mediterranean Sea with the Atlantic Ocean. The "Two Seas Project" was conceived to link several sections of canal together to form one waterway between the Mediterranean and the Atlantic. The first section to be completed was the Canal du Midi, followed by the Garonne, which made it possible to go from Toulouse to Bordeaux: then came the Canal de Lateral a la Garonne and finally the section entering the Gironde estuary beyond Bordeaux.